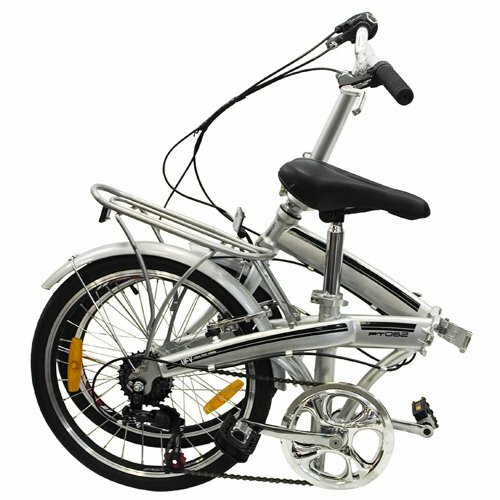 A folding bike is able to be folded into a smaller formation within 20-30 seconds and is greatly convenient for storage or carriage on the go. As a proud urban commuter, I use my folding bike almost everyday: riding from home to the subway or bus station, fold the bike away and hop on the subway or bus with the bike compactly held in hands. How cool is that? In this article, I compile a list of all best folding bike reviews based on different price levels, from even under $150 - which helps you easily make a purchase decision that fits your budget. Let's get started! Check out our other guides right here! The chart below gives an overview on all best-selling folding bikes currently available in the market. You can click the product name to check precise prices and read customer reviews on Amazon. This bike appears to be manufactured by Dahon and branded by Ford. These are two big brands in cycling and automotive industries. 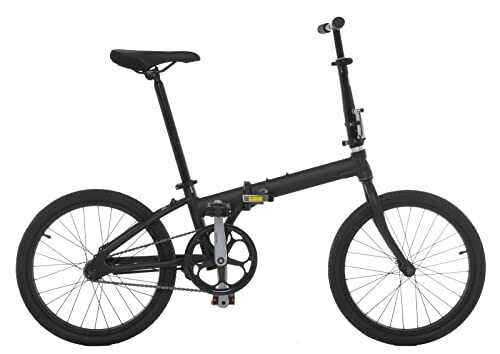 Their cooperation results in an reasonably-priced and highly-functional folding bike. 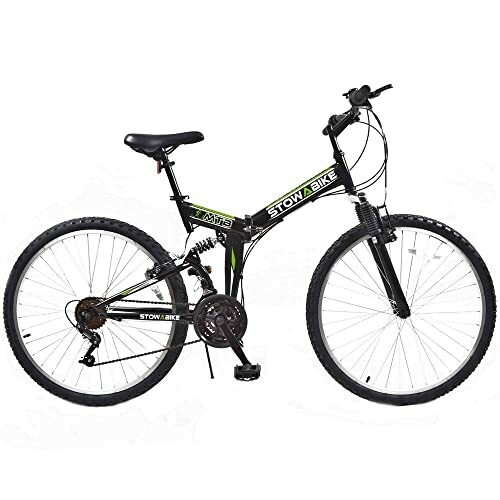 Strong components are included, such as genuine Shimano 7-speed gears and heavy-duty alloy V brakes. A rear rack is included for an additional support to carry heavy loads. Fenders on both front and back wheels keep dirt and mud away especially in wet and rainy weather. The bike is designed with 4 color options: black, white, yellow and red. The bike comes with 2 year limited warranty. Its relatively heavy weight might be unappealing to those who need to transport the bike frequently. However, you can roll and pull the bike away (without much power required) when it is folded. 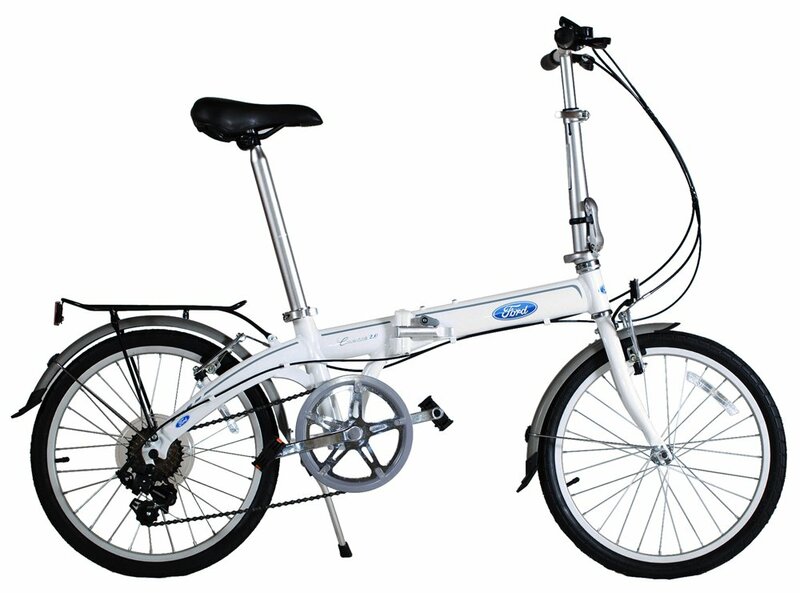 Click here to read our detailed review on this FORD BY DAHON CONVERTIBLE! 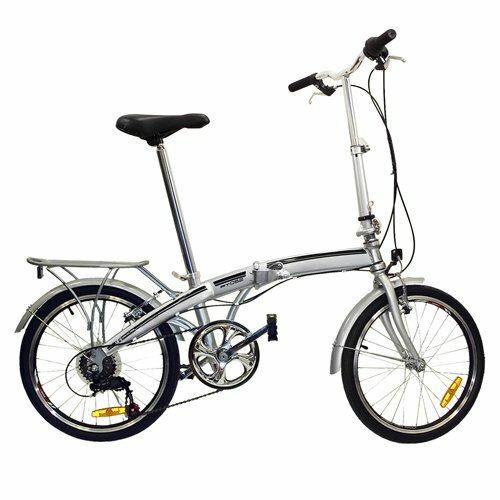 Tips: Also have a look at Dahon Speed P﻿﻿8 for the better option! 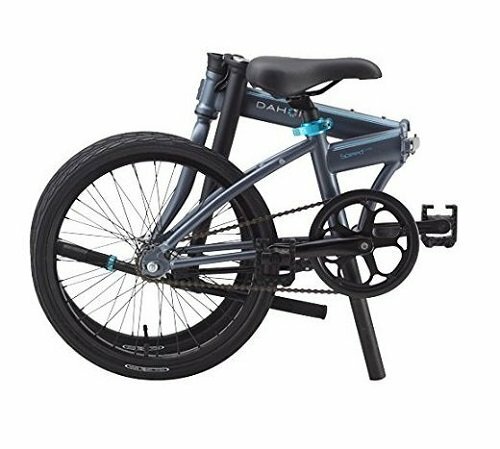 Dahon Speed Uno is a minimal yet efficient folding bike designed particularly for urban commuting. If you ride mostly on flat paved roads and look for a lightweight, portable bike, this is the only bike you might ever need. The single speed becomes advantageous by reducing the hassle of gear switching during the ride. In addition, without shifter and brake cables, the bike looks neat and tidy. Most major components, which are made from good quality material, are strong and durable. Some minor parts are cheap made, though. Thanks to a tripod, the bike can stand itself when being folded. This helps to keep the bike safe from falling down and getting scratched. Ride quality is great. It goes fast, smooth and stable. Check in our detailed review for videos showing how Dahon Speed Uno rides in real life. If you are not familiar with coaster brakes, it might require sometime to practice. Made from plastics, pedals are rather fragile. 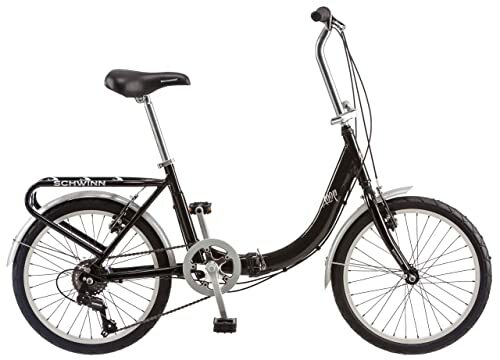 Click here to read our detailed review on this DAHON SPEED UNO! What we like the most about this Camp bike is the Shimano Altus 16 speed derailleur, which is rarely seen in small-wheels folding bikes. The most popular type you see is 7 speed transmission. 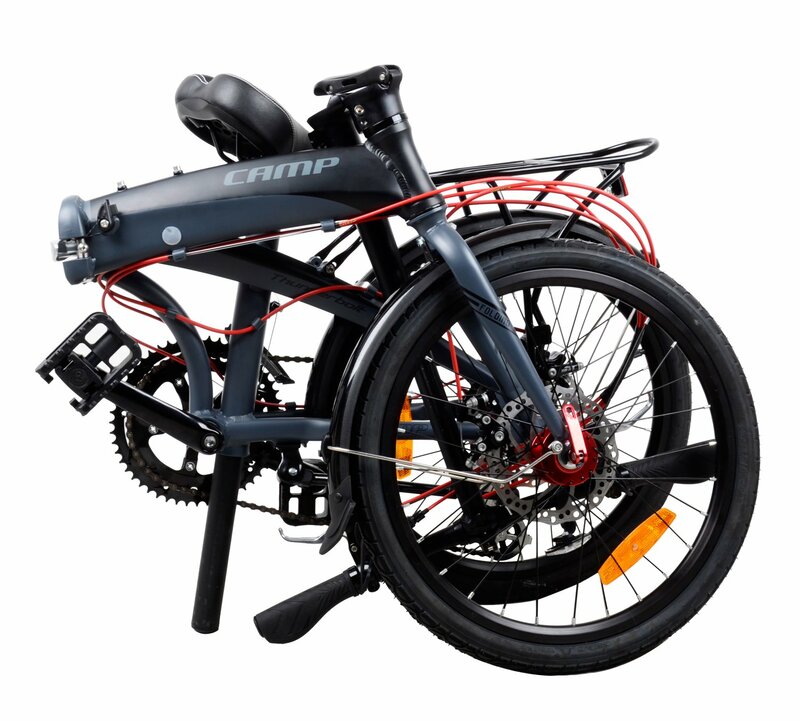 With the extensive range, this Camp bike allows you to ride up steep hills comfortably as well as roll on various ground level with stability and great control. The frame and other major components (bearing hub, front and rear rim, and disc brakes) are made with aluminum alloy - which is strong, heavy-duty and long-lasting. The frame comes with a little rubber protector to prevent scratches when you fold and transport the bike. When folded, the bike frame is held together by magnet, making it compact and trouble-free to carry on bus, metro or train. The great customer service from the seller is also a big plus. The weight of 29 lbs isn’t really lightweight but is still generally acceptable. As seen in the photo, the cables in the front part are quite exposed. This could be improved to make it look less uncluttered. 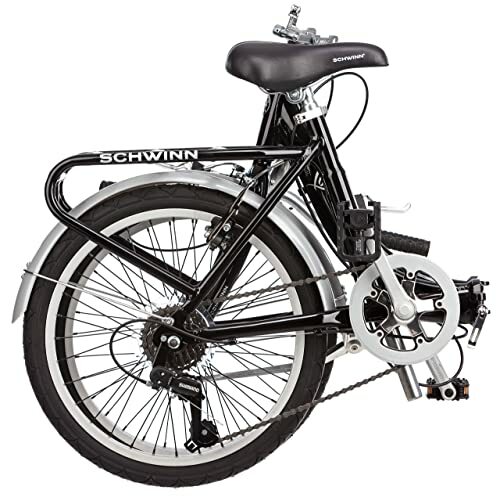 Schwiin is a renowned American brandname manufacturing fitness equipment and bicycles with good quality and high performance. Made very sturdy and long-lasting. It claims to have the age range of 7 to 9 years. Mhe frame is made with the low standover, making it convenient to hop on and off the bike. Comes with a heavy-gauge nylon bag for extra protection when being carried around. No locking mechanism to keep wheels held together when the bike is folded up. Click here to read our detailed review on this SCHWIIN LOOP! A durable and robust folding bicycle made with a concept of mountain bike. 26” wheel and 18 speed gear allow cyclists to ride on a variety of road surfaces, from paved to more rough ones. High-powered shifting gears and derailleurs made by the trustworthy manufacturer Shimano makes the bike stable, under-control and operative on even up and down hills. This bike is suitable for daily commuting as well as for more challenging riding. It’s quite bulky even when folded, compared to other small-wheeled folding cycles. 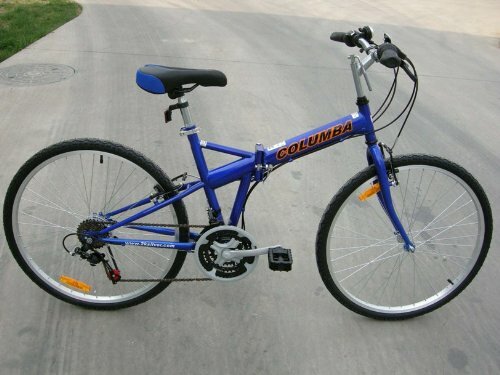 Click here to read our detailed review on this COLUMBA SP26S! This is a versatile folding cycle that is accommodated with the concept of one-size-fits-all in mind, counting in riders from 4’8” to 6’3” in height and up to 240 lbs in weight. This bike is compared as a dupe of Dahon Mariner D7 due to their resemblance in design and utility. Made with good quality accessories and components from typical brands like Shimano, Sram and Weinmann. Solidly built frame and supreme Kenda 20” tires are two greatest features of this bike, making the ride fast and fluid without hindrance on both flat and up hills. Some components are cheap-made to cut down on costs such as pedals and fenders. Click here to read our detailed review on this HASA SRAM 6 SPEED! With a minimal budget, there are quite a few options of folded bikes availed in the market. The bikes we are going to introduce below might have some drawbacks in their features; however, they provide the best values for this price range. The super light weight (21.5 lbs), along with the affordable, is the biggest selling point of this bike. 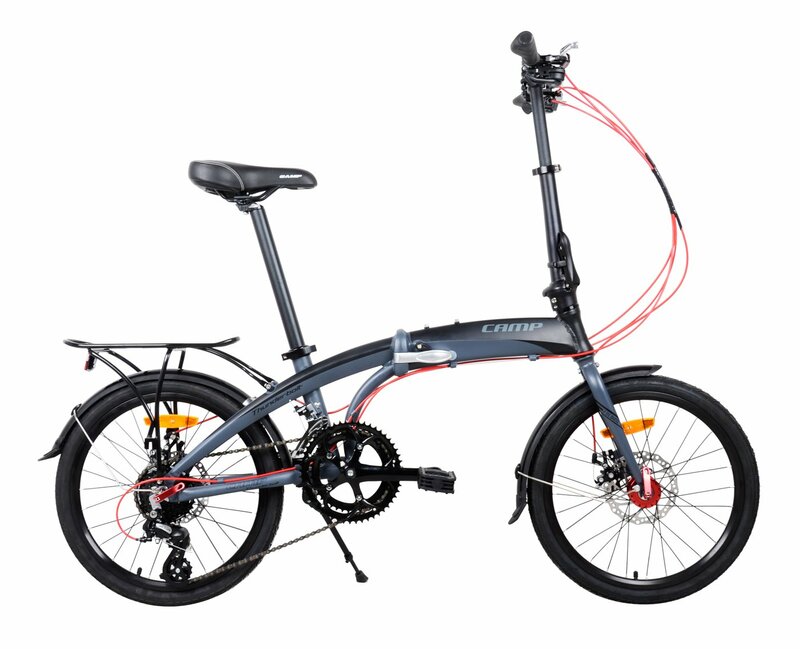 This Vilano Urbana is one of the most lightweight folding bikes available in the market. Without the brake and shifter cables, the bikes requires very minimal effort for maintenance. It folds neatly and fits well in your car trunk, backseat or any limited storage space. The folded dimension of this bike is 12" x 32" x 25". 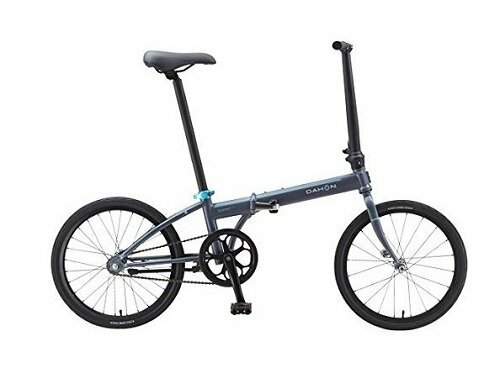 This Vilano Urbana could be seen as the cheaper alternative of Dahon Speed Uno at the half price tag. All components are fairly decent for value of the price. The handlebar and bike saddle are uninstalled when the bike is delivered. However, the remaining 90% of the bike is fully assembled. The seat height is easy to release and adjust from 24 to 42 inches. Also includes front and rear fenders. Both seat post and handlebars are adjustable to different heights. It is stated to handle maximum 250 lbs. It rides smoothly on easy roads and requires small storage space. The bike requires some tune-ups before putting in use. It means more cost is added to the original price. This bike is quite heavy weight compared to other bikes of the same range. Made from steel, it is sturdy and can accomodate moderate weight of up to 200lbs. Built-in mudguards keep you away from mud and other dirts in wet weather. A rack on the back seat is availed for extra goods carriage. A fairly low price tag for a decently-made folding bike. Handlebar is not able to be folded. The bike is not suitable to leave outside in wet weather since it is not made rust-resistant. Being priced fairly low, the Stowabike is an appropriate choice for those who sticks with a minimal budget for a folding bike. You cannot really expect it to work like a beast, but in general, it is feasible for short or medium distance rides on a daily basis. 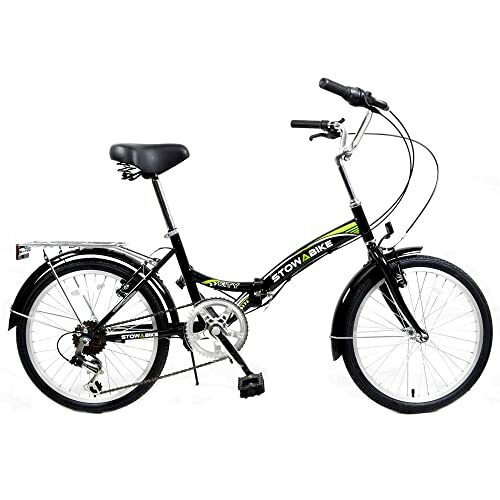 Click here to read our detailed review on this STOWABIKE V2 6 SPEED! Folding bikes in this class will suit riders who may want to use their bikes for short distant trips, such as getting to the local grocery store, or taking it around the subway system, but aren't likely to use it for their daily commute. Many students use leisure bicycles like this, whether to get to school or to cut the time between the bus stop and their place of work. There are a lot of options available for this type of cyclist. It's not necessary for leisure bikes to be made to the very highest standards, but they do have to be comfortable and well-fitted. Buyers who live in hilly areas will want to buy a three-speed bike at minimum. In flatter areas, something like the no-gear bike shown to the left, with its simple, clean lines, could be a good choice. Bicycle gears work like pulleys and mean less force is needed to rotate the pedals. Being able to change gears to overcome tired legs is a nice option to have, even if the area isn't hilly. Cyclists who share the road with automobiles are sometimes nicknamed "roadies." Since many of these people use their bikes to get to work and may travel up to 20 miles each day, folding bikes ridden by roadies have to be well made, very comfortable, and easily customized. 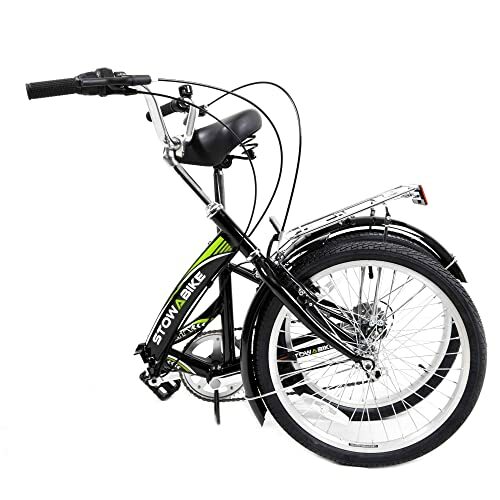 Commuter roadies will find folding bikes perfect, since there's no need to leave their bikes in public areas. After all, even locked bikes may eventually end up being stolen. When choosing any bicycle, it's important to consider medical and body-size factors such as any ongoing back conditions, the ratio between leg and torso measurements, and inseam measurement. However, it's even more vital for roadies, given the mileage they do. A little discomfort can be ignored on one short journey, but not when a bike is used again and again for many years. This covers off-road bicycles, usually known as mountain bikes. These are designed to be tough and - especially - durable, to enable them to cope with rough trails, and this gives them particular characteristics. The tires are usually large and fat, around 26 inches across and 1.75 inches thick; other types of bikes usually have one-inch tires. A mountain bike's extra width gives additional support when riding over rough ground. These tires also have deep tread, giving them better shock-absorbing ability. 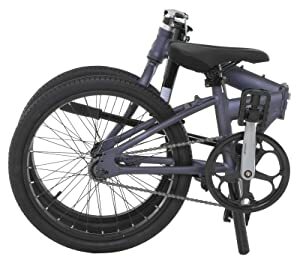 Another component determining the anti-shock feature of mountain folding bike is the fork - known as where the bike frame and the front wheel are connected. This is also where protective suspension is fitted, which avoids damage to the frame. It's best to choose a bike with an only mildly curved fork, known as a low fork rake. In order to deal with shocks effectively, the prongs of the fork should be straight. With this type of bike, riders generally put a lot of weight on the handlebars, which leads to a lot of pressure being placed on the fork. For that reason, this section of the bike needs to be strong. 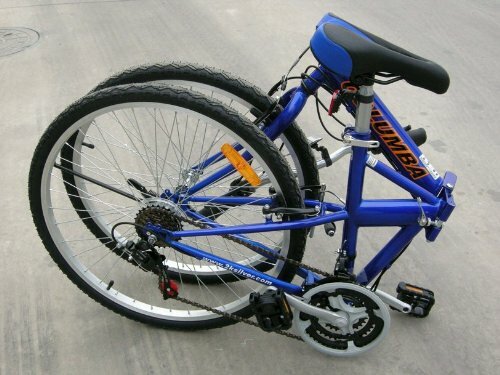 Finally, mountain folding bike has a rear suspension system at the back. This works in a very similar way to the fork suspension. Bad suspension can cause a very uncomfortable ride, just like in a car: every little bump and rut gets transferred to the rider. It's easy to imagine how unpleasant it would be to ride a mountain bike if it lacked these suspension systems. 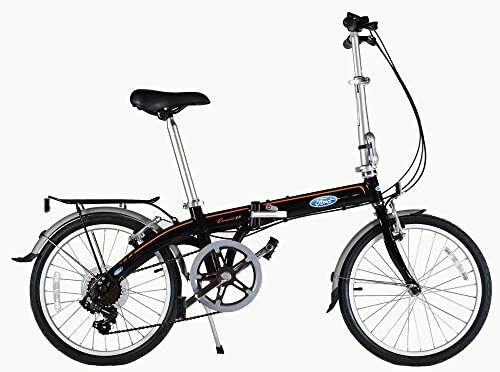 Now when you have decide the suitable type of folding bike for your own needs, it is time to look closer at technical features in choosing a folding bike. When you're buying a bike, you can select from several folding mechanisms. These vary in a number of respects, notably the sturdiness of the mechanism and how easy the bike itself is to fold away. 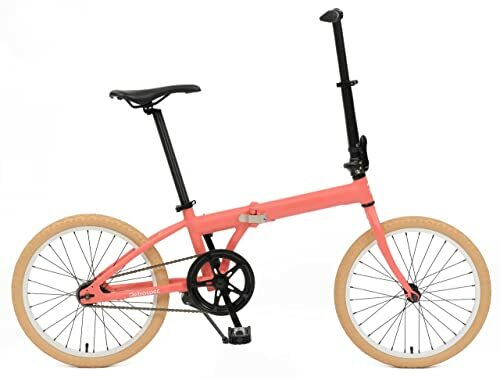 Break-away: Folding bikes can be made to rely on either partial disassembly or hinges for folding, but the break-away type combines elements of both. This makes bicycles that use this method extremely compact, but does have the drawback that you may need to use specialized tools to take the bike apart, which can be time-consuming. Only buy this sort of bike if it comes with the tools you need, and think about picking up a second set to keep in reserve. Half-fold: Bicycles that use this design generally have frames which are close to full size, with a clamp or hinge situated in the middle, allowing the bike to fold into halves. 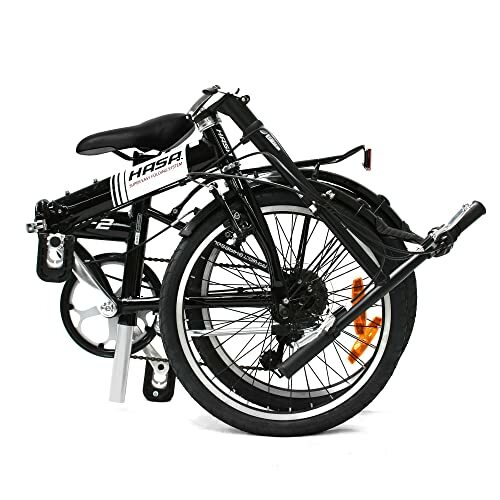 The major advantage of this option is that the bike will ride as well as a non-folding cycle; on the other hand, it will take up more space when folded. 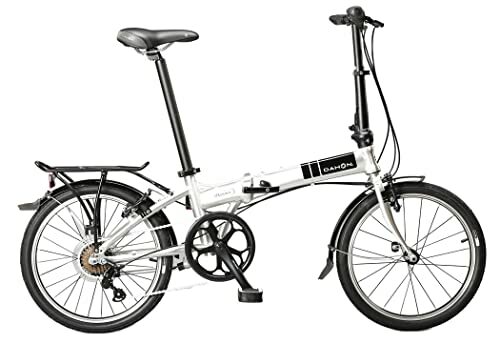 The disadvantage of the half-fold cycle's extra bulk makes this type of folding bike less suitable for using on your commute if that includes traveling on packed trains or buses. It is, however, a good option if you want a bike with a full frame but have limited storage space. Whether you're riding your bike or carrying it, weight is going to matter. The more a bike weighs, the tougher it's going to be when you're pedaling. Climbing hills will be especially hard, so always consider weight. Generally, the weight of a bicycle, as well as its cost and overall quality, will be affected by what it's made from. Steel is heavier yet cheaper than aluminum. Folding bikes don't come in the same range of shapes and sizes that conventional cycles do, so it's very important to check that you can adjust the height of the handlebars and seat to suit you. You should also be able to set the space between saddle and handlebars to a comfortable distance, otherwise you risk inefficient pedaling and personal discomfort. The taller you are, the more space you'll need. Look for bikes that allow you to move the seat forward or back, as these fit a wider variety of body shapes. Many folding bikes have gears, also known as speeds, but not all of them. With the simplest design of all, the single-gear bike, the chain runs from a small gear attached to the back wheel to a larger one that connects to the pedal shaft. These bikes can travel very fast on flat roads, but it takes a good deal of effort to get up speed in the first place. Alternatively, you could consider a multiple-speed bike, which will allow you to pedal with less force. The downside of that is that you need to pedal faster to go at the same speed. The major advantage of a multi-gear cycle is that you have plenty of options; by changing gear, you can adjust your pedaling force to suit the terrain or road conditions. For that reason, most riders should look for a bike which has more than one speed, ideally three or more. This article has covered all important knowledge you need to know in order to choose the best folding bike which fits your needs. 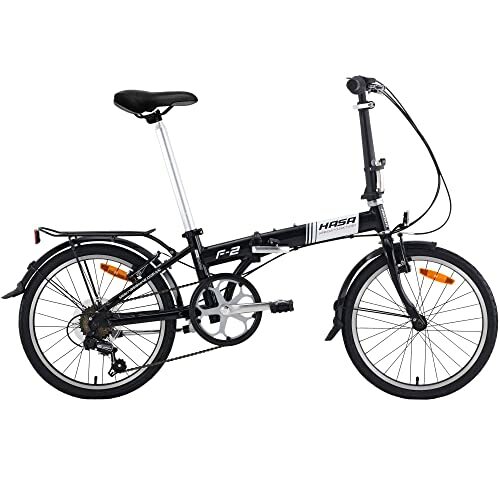 In addition, through out the website we make more detailed reviews which help you to have a deep insight into each folding bike model. If you have further questions about riding experiences with folding bikes, check out the FAQ section! Also don't forget to follow us on F﻿﻿ace﻿﻿book and T﻿﻿﻿witt﻿﻿e﻿﻿﻿﻿﻿r to get latest updates!